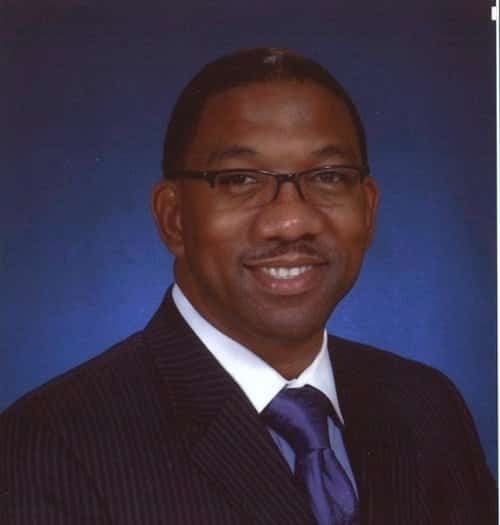 School Board President and Pastor Marcus Cathey likely broke the law with his church’s long term personal use of school facility. Give a man a fish and you'll feed him for a day. 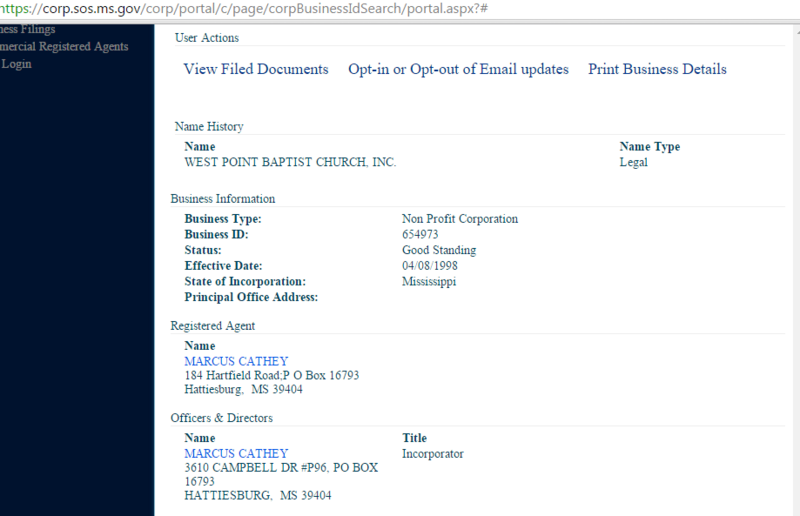 Give a man a position as president on the Hattiesburg Public School Board, and he might illegally use public property to build his church campus; and according to state statute, a Missisisppi Ethics Commission opinion, and the Mississippi Constitution, that's exactly what School Board President and Pastor Marcus Cathey has done. 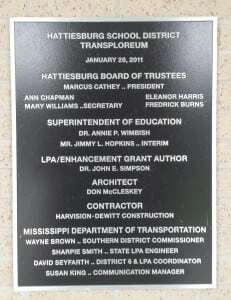 For many, many months, Cathey has regularly used the newly constructed Transploreum Building at N.R. Burger Middle School each Sunday at 10:00 am in order to grow his church's congregation. It goes even beyond that, however. 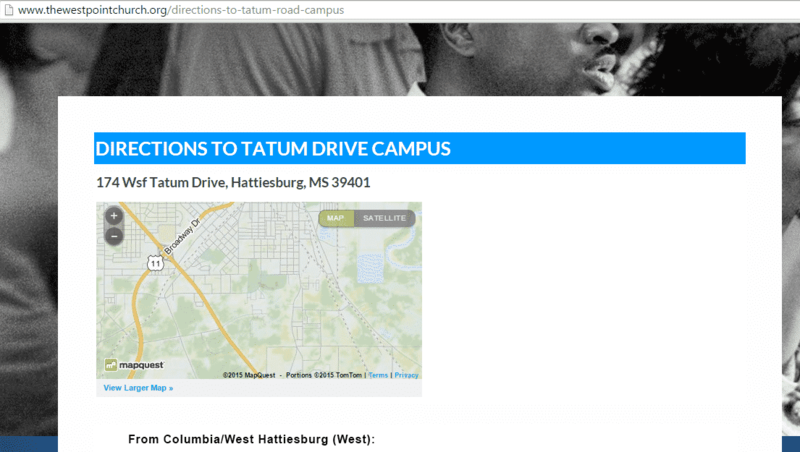 Cathey is so bold that he advertises the school building's address on his church website as being his church's "Tatum drive campus." Cathey is self identified on Facebook as being "self employed," and he is the sole incorporator of his church's non profit, according to the Secretary of State's website. 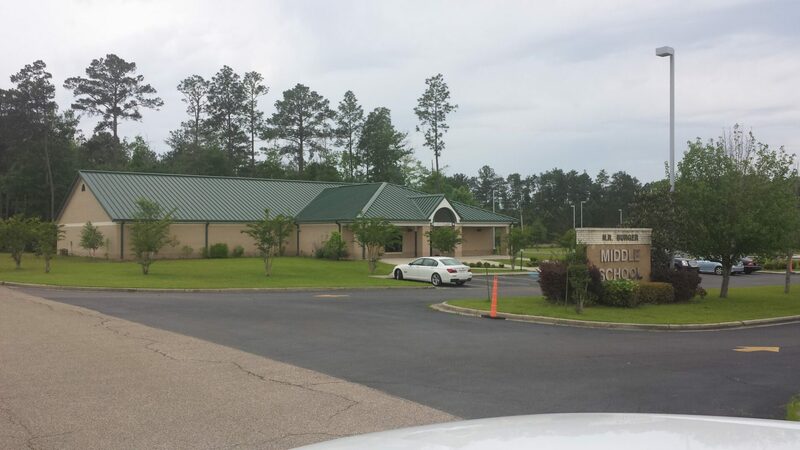 School Board President and Pastor of West Point Baptist Church is the sole owner of the non profit using the school's facility to hold services. The N.R. Burger Middle School Transploreum is the public buiding Cathey claims as his church's campus. (1) No public servant shall use his official position to obtain, or attempt to obtain, pecuniary benefit for himself other than that compensation provided for by law, or to obtain, or attempt to obtain, pecuniary benefit for any relative or any business with which he is associated. (2) No public servant shall be interested, directly or indirectly, during the term for which he shall have been chosen, or within one (1) year after the expiration of such term, in any contract with the state, or any district, county, city or town thereof, authorized by any law passed or order made by any board of which he may be or may have been a member. No public officer or member of the legislature shall be interested, directly or indirectly, in any contract with the state, or any district, county, city, or town thereof, authorized by any law passed or order made by any board of which he may be or may have been a member, during the term for which he shall have been chosen, or within one year after the expiration of such term. 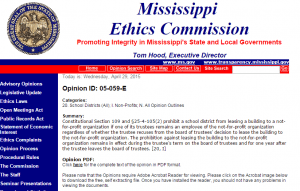 School Board President and Pastor, Marcus Caffey has operated outside of the boundaries of accepted ethics according to a Mississippi Ethics Opinion. 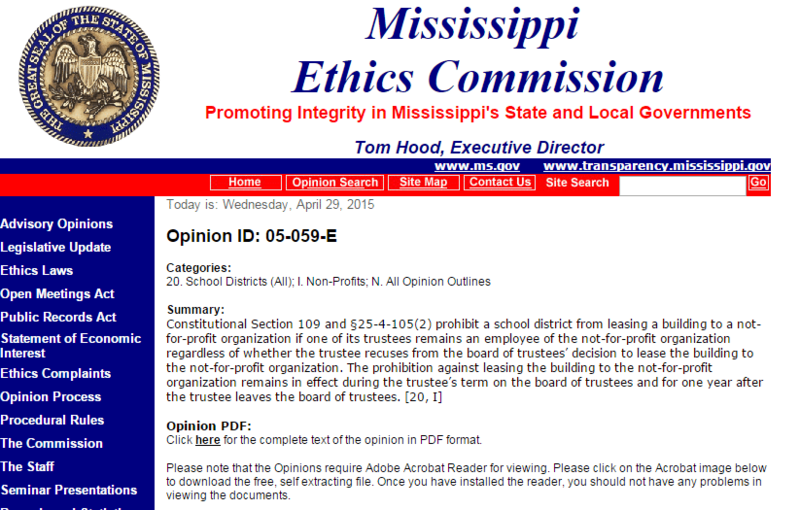 Constitutional Section 109 and §25-4-105(2) prohibit a school district from leasing a building to a not-for-profit organization if one of its trustees remains an employee of the not-for-profit organization regardless of whether the trustee recuses from the board of trustees’ decision to lease the building to the not-for-profit organization. The prohibition against leasing the building to the not-for-profit organization remains in effect during the trustee’s term on the board of trustees and for one year after the trustee leaves the board of trustees. With a school district under reorganization due to failing schools, a human resource director, Carmen Anderson, who pleaded guilty to illegal voting, and now the school board president using public facilities for personal gain, it's no wonder why our district is declining in size and ranking. The leadership at the top seems more interested in furthering themselves than in doing what's best for Hattiesburg's children. 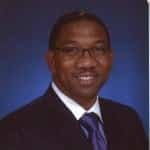 From all appearances, Mr. Cathey is engaged in a long term lease relationship with the very school district he is tasked with overseeing, and advertising a public school building as his own church campus. Not surprisingly, never once did Cathey's likely improper or even illegal use of the facility come up for discussion with the board or board attorney, Percy Watson. The board and it's attorney have known about this relationship, and they did nothing to enforce the law and the ethical standards that we expect from a board that serves the public's trust. The entire school board is beginning to resemble unethical cronies, who are too weak to speak out against wrongdoing and criminals working within the administration. This reflects on the entire Board of Trustees. They themselves are complicit in the schemes and criminality in the administration by looking the other way. When you can't trust a trustee who can you trust? **Note - The Hattiesburg Patriot made numerous calls and sent Facebook messages to Marcus Cathey for a comment. No calls were returned and no responses were received. 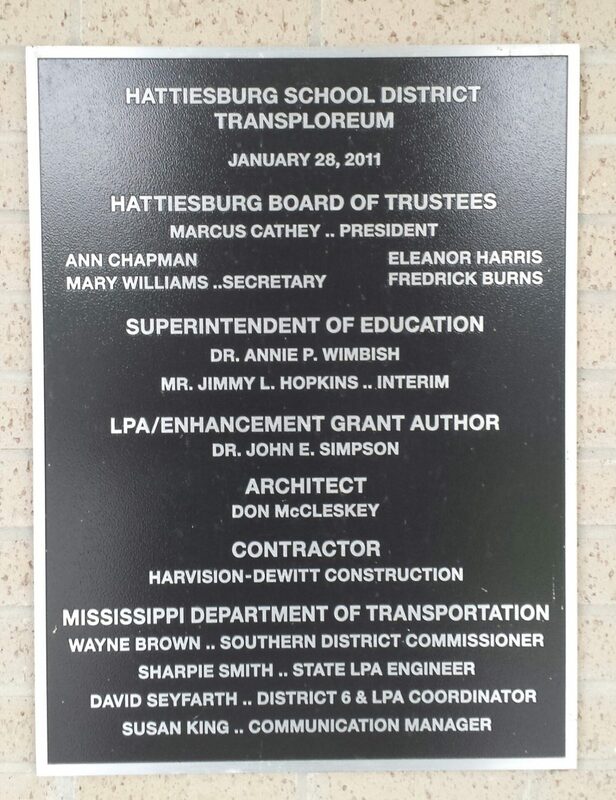 Nobody who works in the HPSD is qualified to be Superintendent. There must be a clean break with the past, or the same connections will do the same thing again. At some point the School Board will have to change because there is no reason for this disaster NOT to happen again. Totally agree Mrs. Walters. No one would know more about the HPSD than you. The school board is responsible for allowing this to happen. Marcus Cathey said they should have watched the fund balance closer…that is correct, but they also should not have allowed the unbridled spending and hiring unneeded personnel due to cronyism. Clean house and start over, especially with the Superintendent. Phillip Underwood, that’s where all this started. When integration started, all the whites ran. I’m staying, this is my home. Hahaha. Is this a serious possibility??? All I can say, move 2 Lamar co.
How about we go outside the box! Inside the box is clearly not working. Out with the old in with the new. New vision, morals, ideas etc. It is time for Hattiesburg to do what is best for children not someone’s social status or bank account. Are there any white applicants? Almost everyone that Dupree has hired in the city have been black persons. Sounds a little discriminatory to me. Skin color doesn’t matter, but cronyism does. There were approximately 30+ applicants. I see the point your attempting to make, but isn’t the sheriff white. And hasn’t he been added to the list of “cronies”? Elizabeth Taylor Williamson White and crony. People who profess to be Pastors seem to be a problem in our community. Seems they can’t keep their hands off other peoples money and properties. Of course when your tight with the Mayor, little things like laws can be overlooked. Mr. Cathy is a upstanding man and great pastor ! It’s degrading your trying to tarnish his charter !! Disgusted .. Find some real news !!! not to get off topic but what ever happend about the county jail meat scam. They never report on the corrupt things that go on our county or city. Wonder if he uses the version of the bible that says something about you should not steal …….. think it’s in the first part of that book. This entire thread is a perfect demonstration of how people base their opinions on EMOTION rather than facts. The statute is clear & unambiguous. As a member of the Board, the pastor cannot lease the facility. End of story. Apparently you are not allowed to point out obvious wrongdoings Hattiesburg Patriot even if you have the law in print below the statement. THIS IS WHATS WRONG WITH HATTIESBURG. I was always told you didn’t mix Church and State. So I’m not sure who’s right or wrong. But have a Church and winning Souls to Christ is the important issue. That’s just me. And a quote from Ross Barnett…. So by LIKELY you mean you don’t have all the facts yet and your article is based on pure speculation right? The U.S. Supreme Court has ruled twice in favor of the use of public school buildings by religious and political groups. It is not out of the ordinary for a church to take advantage of a large school facility and low rent. Schools are not legally allowed to discriminate against against any group based on ideology but can set set parameters on when the facility is used & even prohibit certain church/religious activities such as dinners, use of candles & even baptisms. whats new 95% of hattiesburg school district is corrupt just like our mayor and city government.ask them its there right to do it i bet they say. again… I am not condoning unethical practices, but if you ” DO NOT” know ALL of the information, DO NOT release it just to say you’ve had activity for the day! It still does not make it news worthy! Slow news day! Ms. Thomas, explain? Surely you are not condoning illegal behavior.